With all the snow and colder weather that has swept across most of the States, it’s important that you are equipped to be safe on the road. 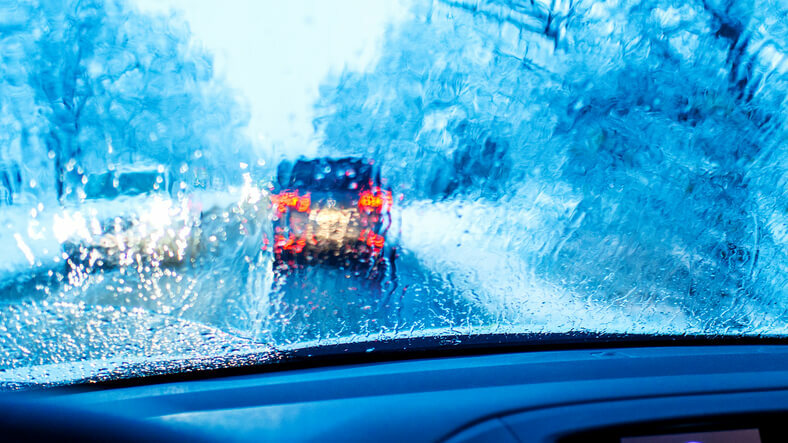 Driving in snow and other winter weather such as ice, slush (freezing rain), rain, or sleet can be very dangerous if you don’t know how to adjust your driving. 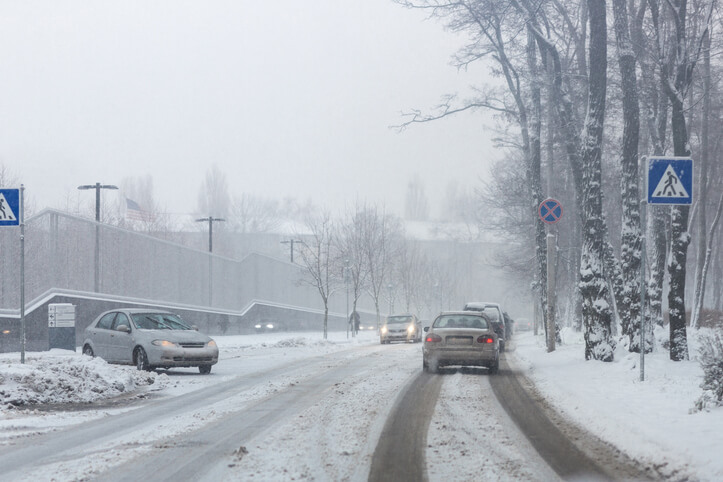 Thankfully, we’ve got some easy to understand tips that cover driving in all the varying types of winter weather, so you can get to where you’re going safely. Always, always, always, buckle up! Winter tires, yes or no? A sure way to get yourself into a bad situation is to drive into winter weather with tires that are not designed for the winter elements. 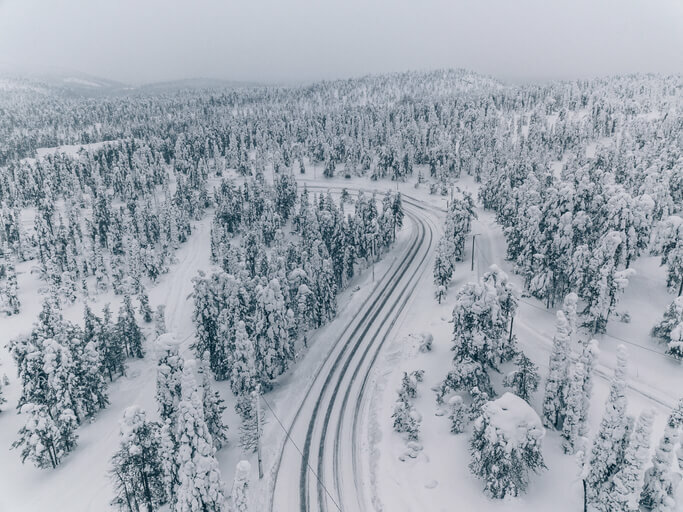 Snow tires, or winter tires, are tires designed with special rubber compounds and tread design that allows for more grip on winter elements than normal tires. Winter tires were designed to improve your cars ability to stop, speed up, brake, and steer on slippery roads. 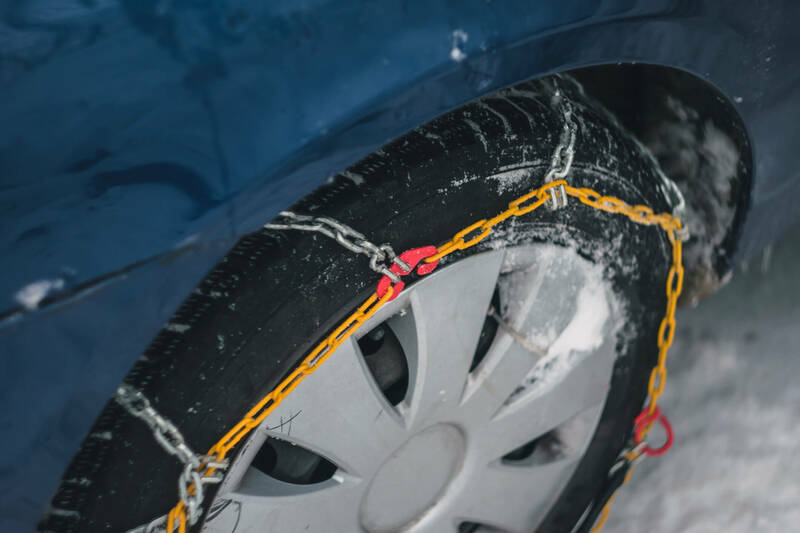 Even if you are not in the market to get winter tires, if you ever plan on driving in the snow it is a good idea to at least get a set of snow chains for tires in the event of emergencies. 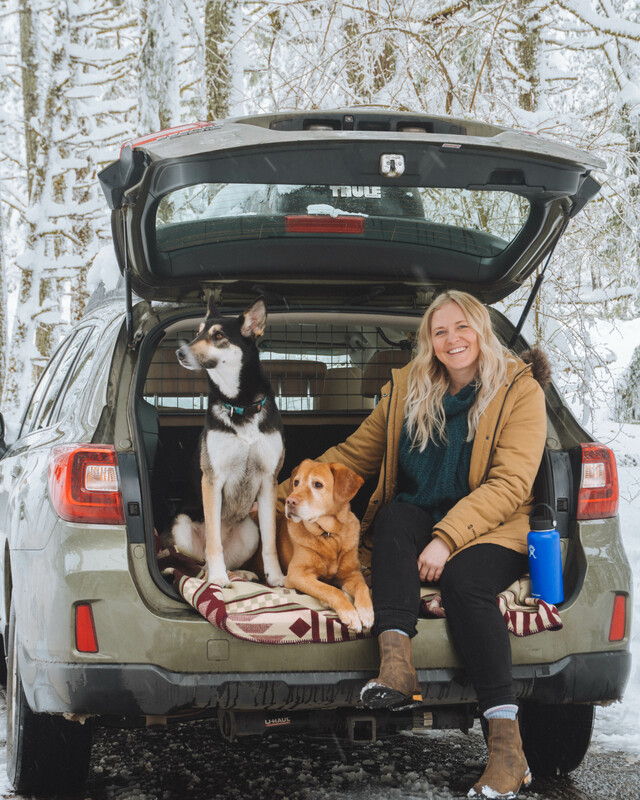 Although you may have ‘all season tires,’ experts will tell you that they still would not perform as well in snowy conditions as snow tires do. If your car came equipped with summer tires, you definitely want to switch your tires to winter tires. Or park your car until the end of winter! At the very least, check that your tires are properly inflated and have enough tread. 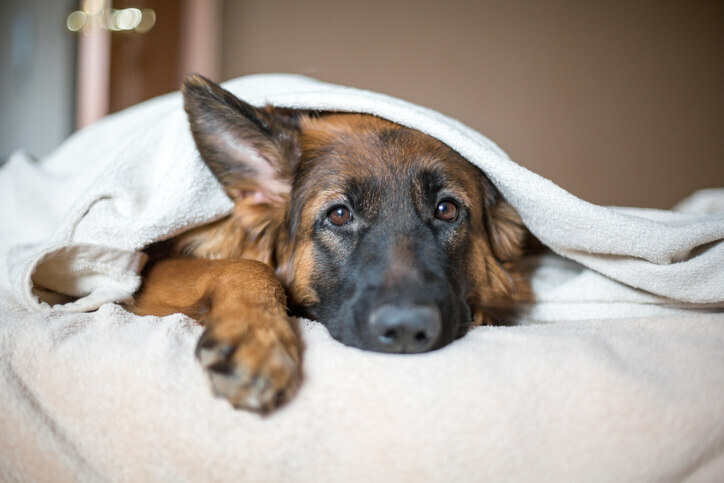 If you’re not sure what you’re looking for we recommend popping into AutoZone or your local auto shop and more often than not they will check them over for you! A simple one that not enough people know about – if you use your parking brake and then snow or water accumulates around the brake mechanism, it may freeze and be difficult to release. Of course, if you drive a manual, you want to make sure you are on a level surface if you choose not to use your parking brake! 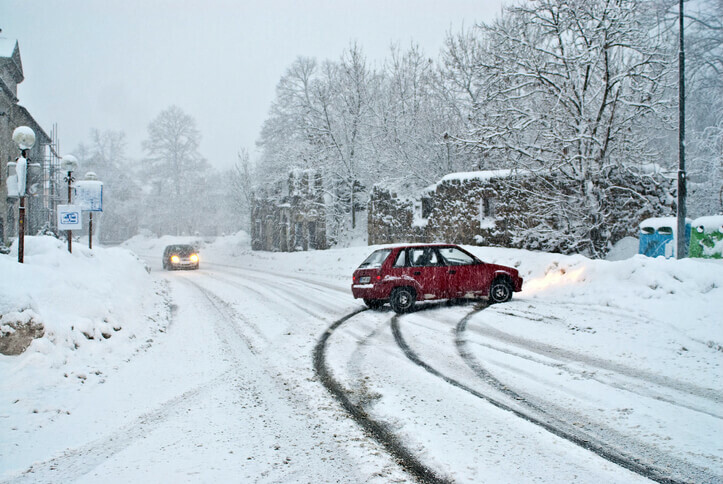 Driving in snowy conditions makes some drivers more careful, while others take more risks. Be aware of what others are doing around you. 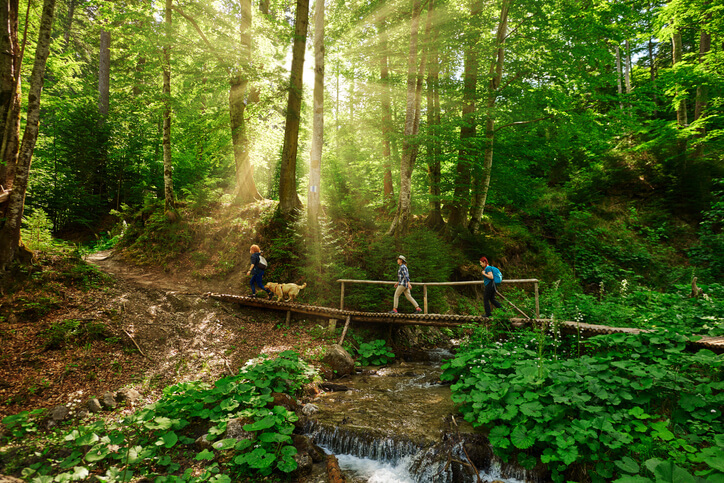 For instance, cars approaching an uphill may not want to slow down or stop at all, while others coming off a hill may be incapable of stopping. Let others pass if they are tailgating you. Don’t speed up! There is nothing quite as scary as feeling like you are not in control of what your vehicle is doing. Drive gently and avoid harsh acceleration or abrupt steering to avoid sliding. When braking on ice or snow, you never want to brake hard or abruptly. You’ll want to pump the breaks gently as you come up to the place you want to stop. If you brake normally, you are most likely going to slide way past the place you wanted to stop. If you are accelerating and your wheels start to spin, your first instinct is to press on the gas harder when in fact this is wrong! Spinning wheels have less traction than wheels that are engaged with the snow. Instead, when you start to spin out, release the gas pedal until you feel the wheels stop, then gently accelerate. If you can, build momentum before approaching a hill, so you don’t have to rely on traction itself. If you find yourself in a circumstance where you are skidding or sliding, do not brake! That will only make it worse. Keep your foot off the brake so your wheels have all the traction they can get and steer your front wheels where you want to go. Rear wheel and front wheel drive cars drive differently, so it is important to know what type you drive. It is always a smart idea to have some type of roadside assistance like AAA that you can call if you get stuck in the snow. However, it could take them hours to come to your aid if road conditions are deplorable or if they have a lot of different calls. If this is the case, make sure you have a warm blanket in the car, and that you always leave your house in shoes that are acceptable for walking in the snow. 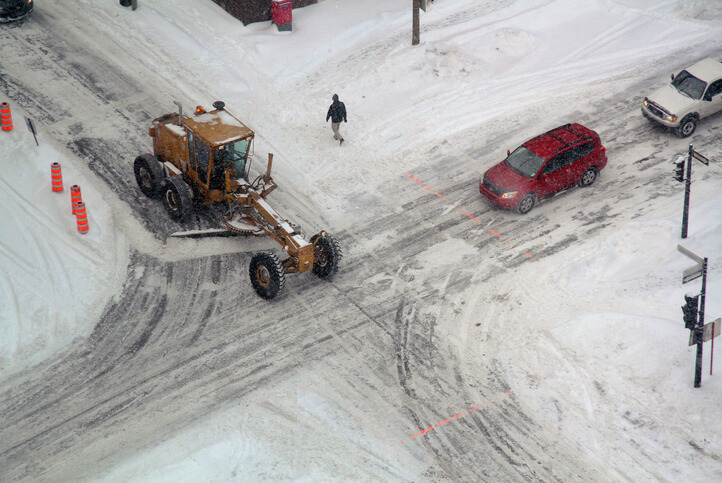 If you leave your car, make sure that it will be out of the way and won’t cause problems for other traffic or snowplows. Be aware that your exhaust can freeze and become clogged if you leave your car running for the heater. This can be dangerous as it could fill your car up with carbon monoxide and cause carbon monoxide poising. If you remember anything from this, its that you should drive more carefully than ever when you drive in the snow, be aware of where you are going, the road conditions, and other drivers around you. Stay safe on the roads out there! Did you find this post helpful? Share on your social media so others can help make the roads safer, too!